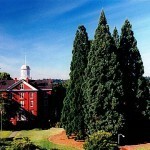 Presented by the class of 1942 to Willamette University on its 100th anniversary, these five giant Sequoias include the tallest of its kind on any college or university campus in the country. 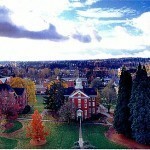 Founded by Jason Lee in 1842, Willamette University is recognized as the oldest university in the west. 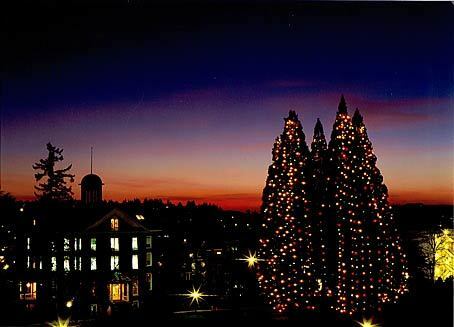 Since 1997, the campus annually decorates the five trees with Holiday lights from mid-December to January. 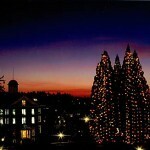 The tree-lighting ceremony includes music from several Willamette University choirs and music ensembles. 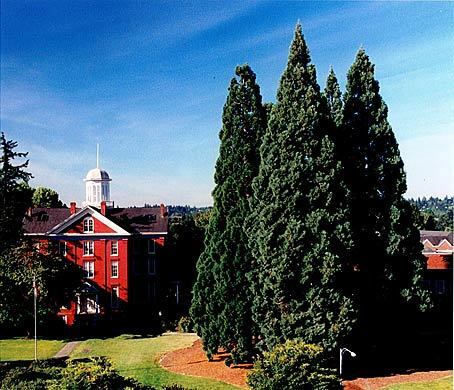 Looking up from the midst of these symmetrical and evenly spaced trees, the sky is framed as a perfectly shaped five-pointed star. 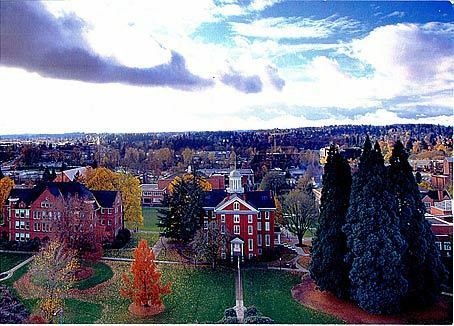 The Star Trees are located between Willamette University’s Waller Hall and State Street (across from the capitol), in Salem.